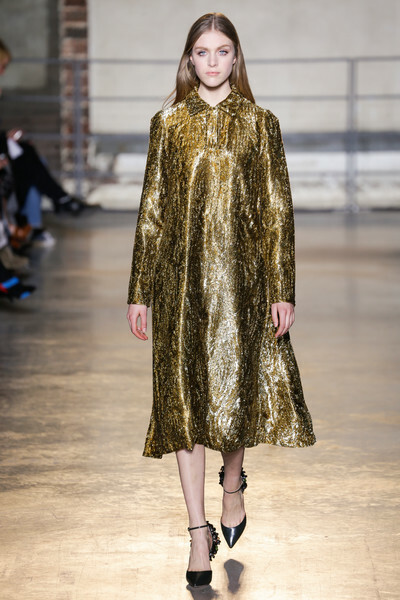 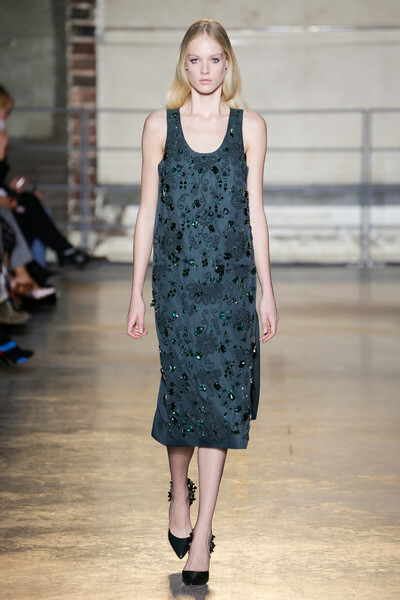 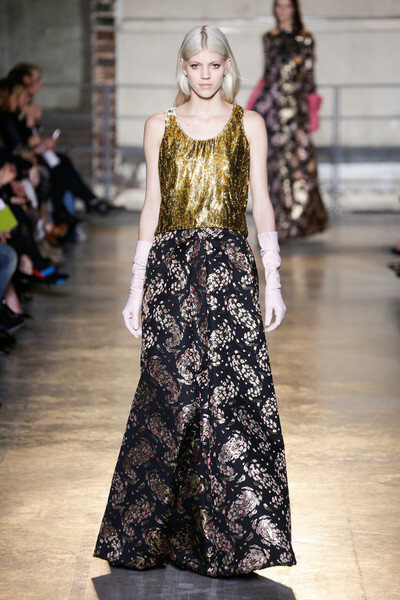 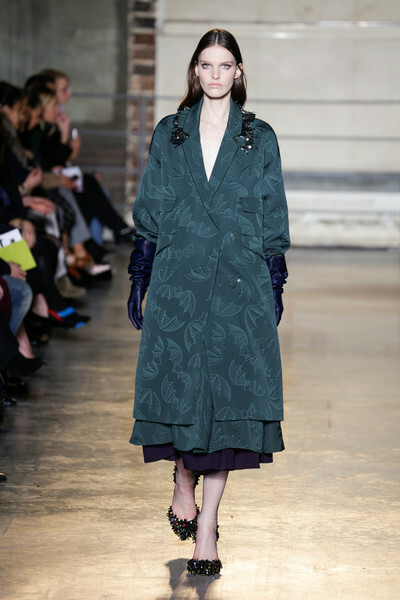 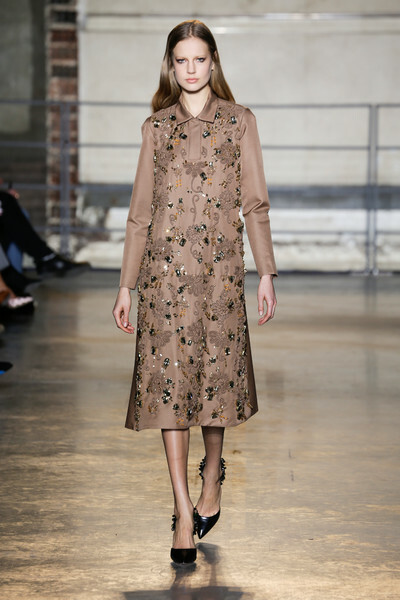 For his Rochas debut collection designer Alessandro Dell’Acqua ensured he made a true statement. 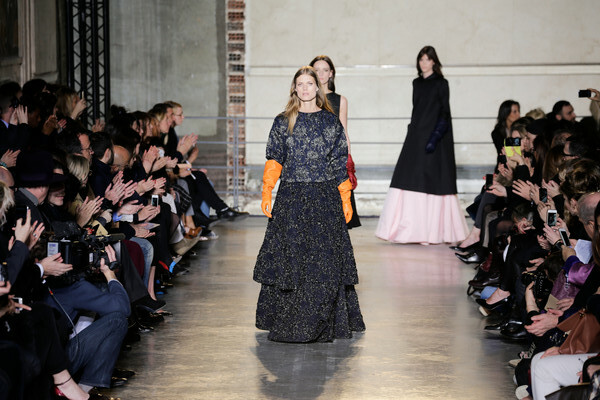 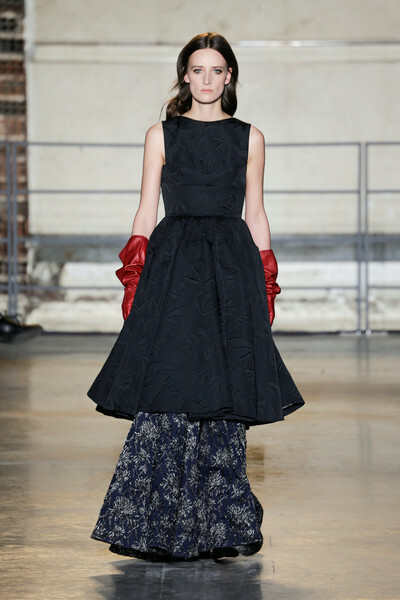 He presented a ultra feminine collection full of voluminous skirts, coats and dresses. 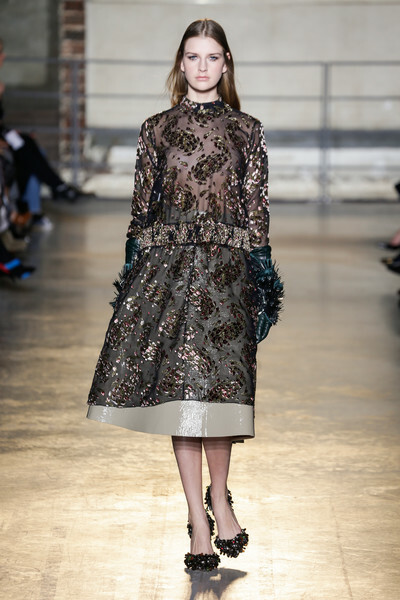 Beside elegance the looks breathed luxury too, visible through the rich materials (velvets, jacquards, brocades) and embroidered details, which popped up everywhere. 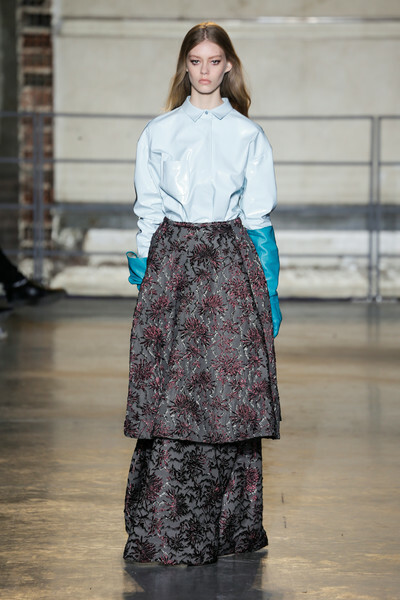 In a sober color palette ranging from baby blue and pastel pink to burgundy, petrol, navy and gold Dell’Acqua introduced fluffy winter coats (in fact two of them worn at the same time), tassled over the knee skirts, woolen fifties dresses, crystal encrusted bodices, embellished blouses, peplum tops, patent leather jackets and a finale of stirdy floor sweeping gowns. 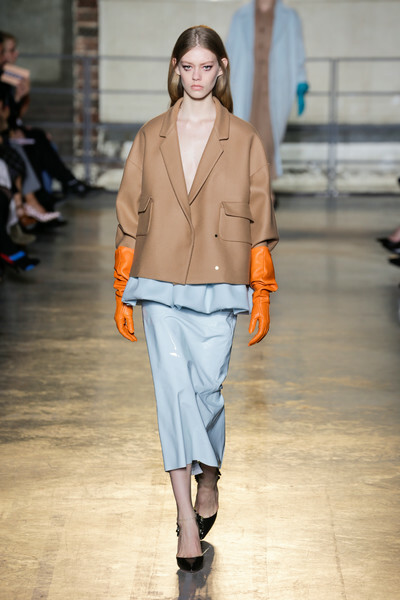 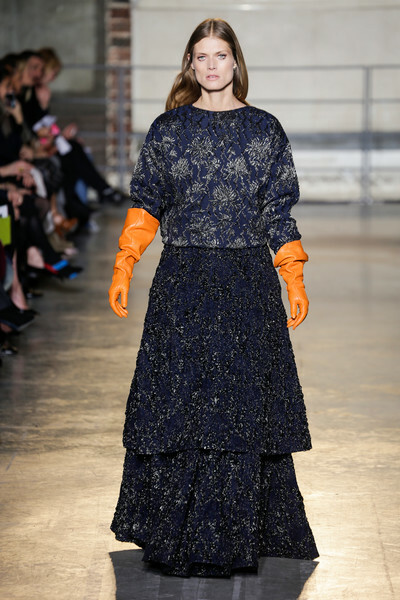 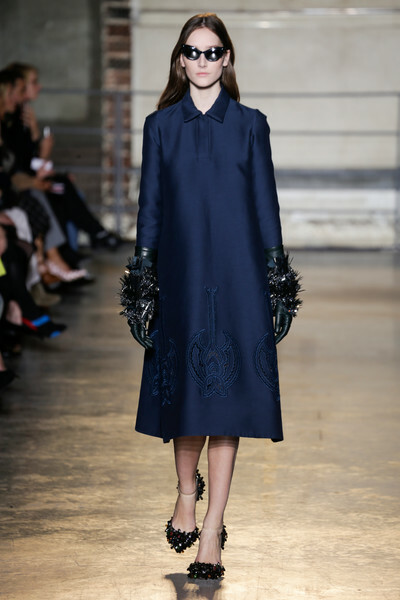 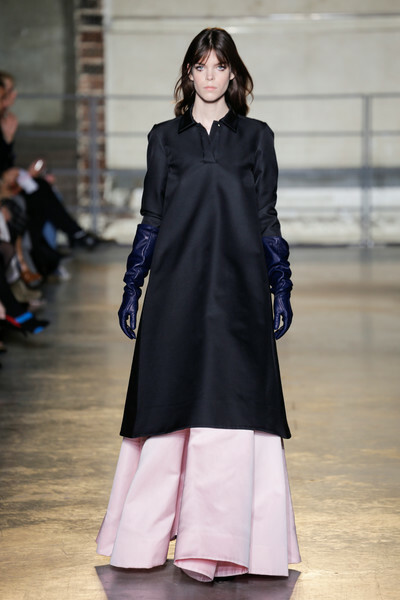 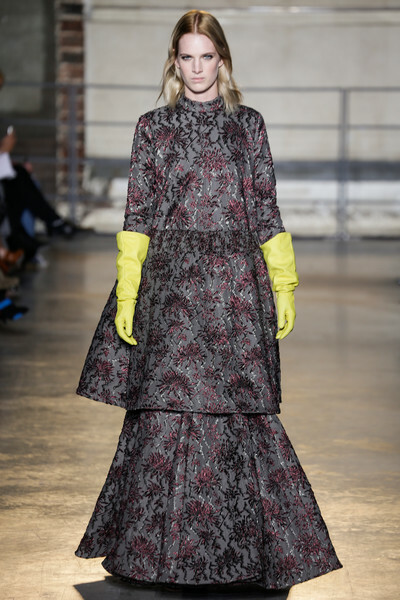 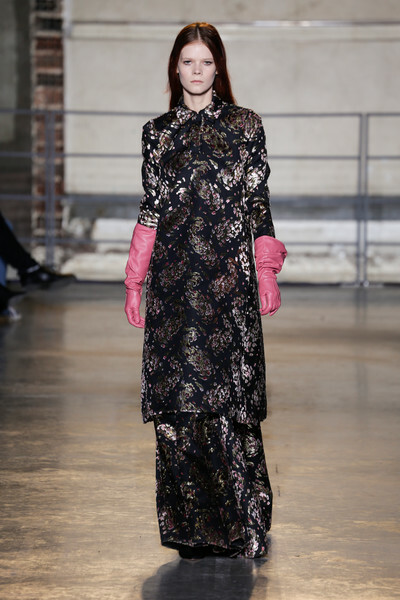 To make the oversize silhouettes even more powerful he added bright leather beaded gloves. 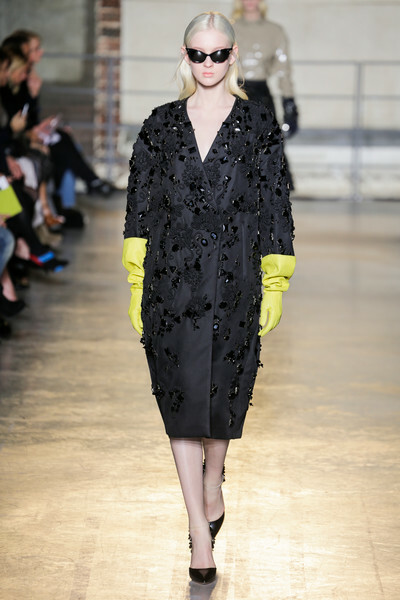 Dell’Acqua sure had no trouble expressing himself and with so many statement pieces neither will the Rochas woman come fall. 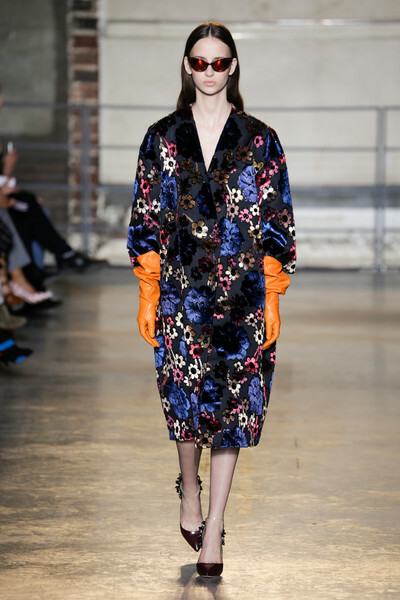 Our review will follow soon, meanwhile enjoy our images.